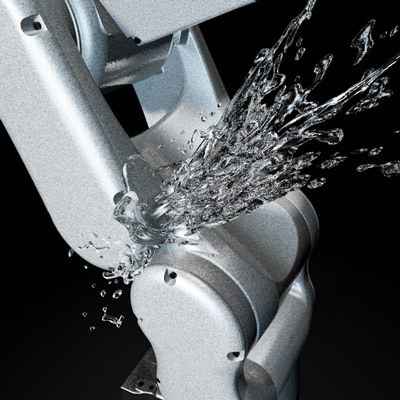 Built to get wet, this compact 6 axis model is ideal for wet environments and can be easily integrated into confined spaces and machines. 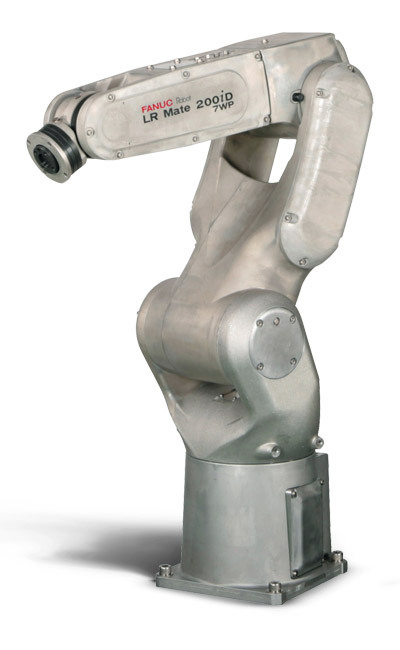 Like other LR Mate robots, it is available with a range of options including integrated intelligent (vision & force) functionality. This washproof LR Mate version is ideal for use in wet environments and for high pressure washing applications. At home working in environments involving dust, water jet and die cast thanks to a waterproof wrist and IP67 protection on the J4 arm. Get more protection with optional IP69K. 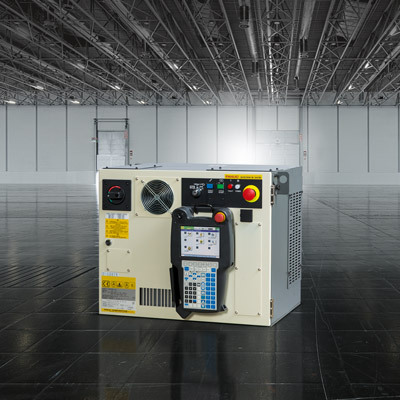 FANUC LR Mate 200iD/7WP offers you full flexibility with floor, ceiling, wall and angle mounting – thanks to its compact design and sealed mechanical units you can even integrate it directly into a machine. Operates reliably in dusty environments or conditions involving oil mist.